with all this rainy dreary weather in nyc, i am craving the sunshine and bright colors! 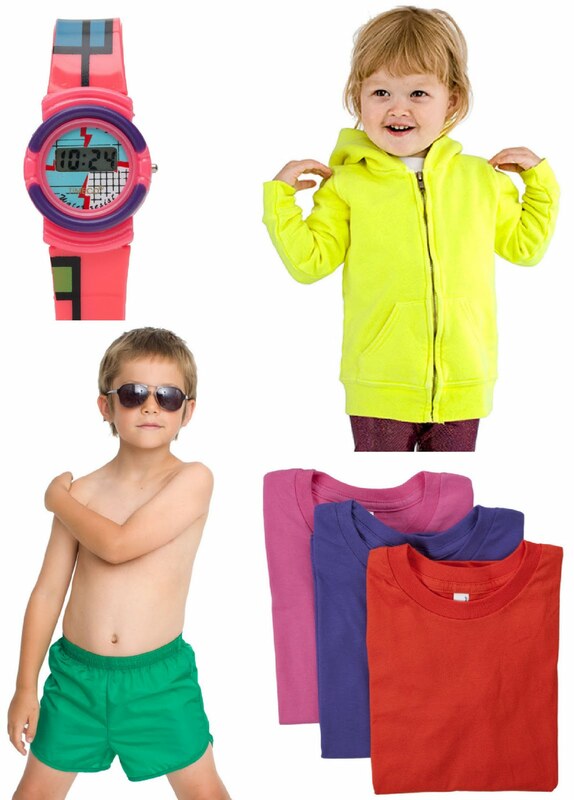 american apparel kids is rocking the brights this season with 80s timex watches; highlighter hoodies; old school shorts; and basic tees in every color of the rainbow! shop all the bright lights at www.americanapparel.net. Oh yeah! Love all this neon. Especially on accessories! K got a freebie digital watch with the last Geox purchase of shoes and I love wearing it cuz it's neon yellow. That hoodie is killah!